Scope & ContentFonds consists of vital records, passports and travel permits, correspondence, objects, photographs, letters of reference, and ephemera relating to the lives of members of the Eisinger family, as well as their family history. Fonds has been arranged into the following series: Eisinger family government and vital records series (1916–1980); Eisinger, Marcus family correspondence series (1939–1954); Bedrich Eisinger Czechoslovak Army documents and objects series (1940–1946); Gerda Eisinger career documents series (1939–1977); Eisinger family photographs series (1937–[197-]); Reparation and compensation documents series (1951–2008); Eisinger genealogy research series (1994–2011); and Eisinger, Marcus family ephemera series ([194-]–1988). Immediate Source of Acquisition or TransferRecords maintained by Bedrich and Gerda Eisinger until their deaths in 1980 and 1988. 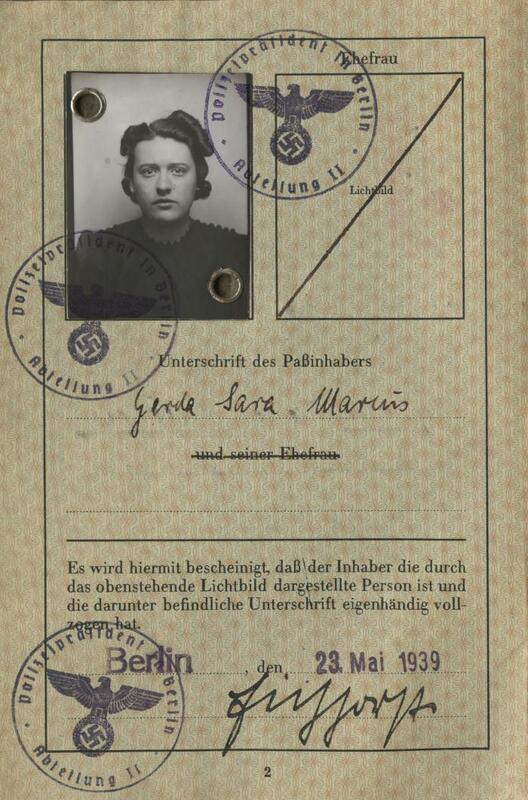 Records maintained by Barbara Eisinger until their donation to the VHEC in 2013. NoteAudio interview with B. Eisinger is available in .wav format. System of ArrangementCollection has been arranged into eight series, which reflect the major activities of the Eisinger family, as well as thematic divisions as it came to the VHEC. Select records only have been described at the item level. Other items have been digitized as media representations of fonds, series and file-level descriptions. Consult the archivist for more information. Archivist's NotePrepared by Sarika Kelm in November 2016. Updated April 2017.